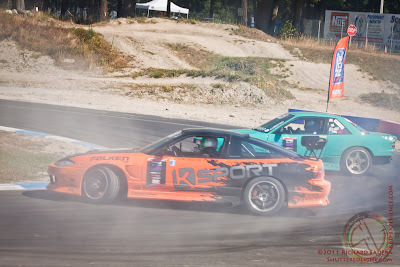 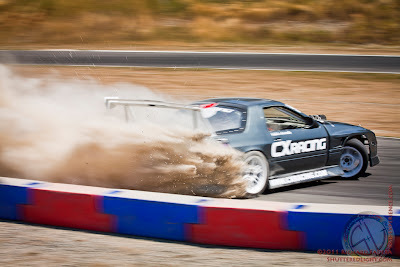 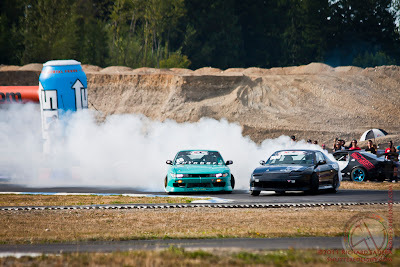 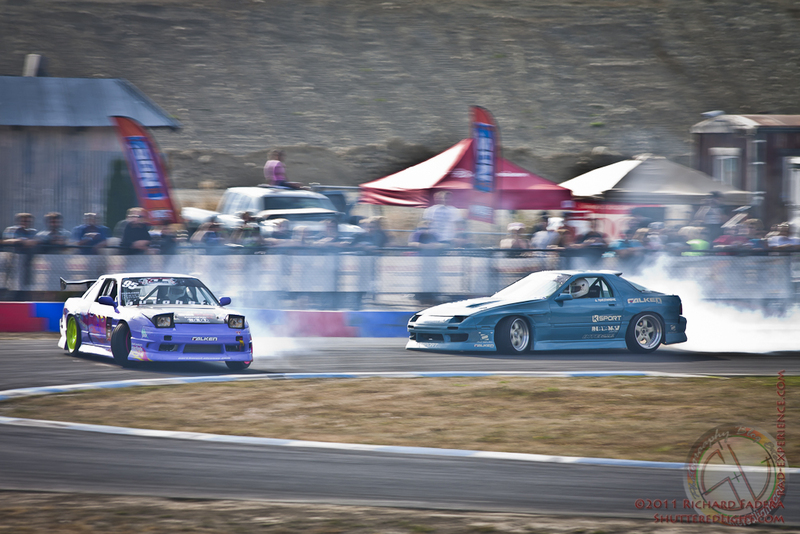 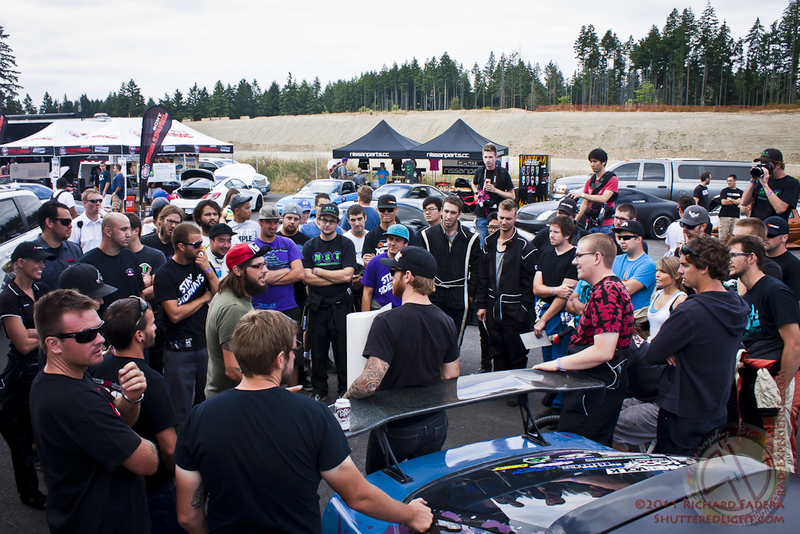 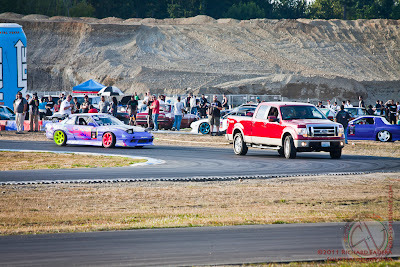 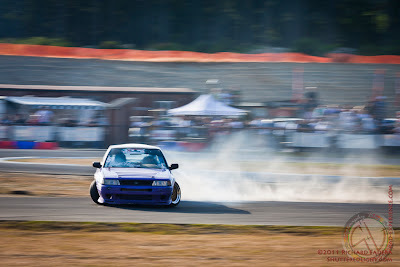 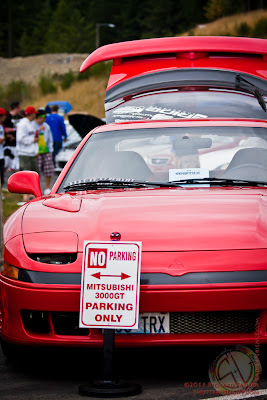 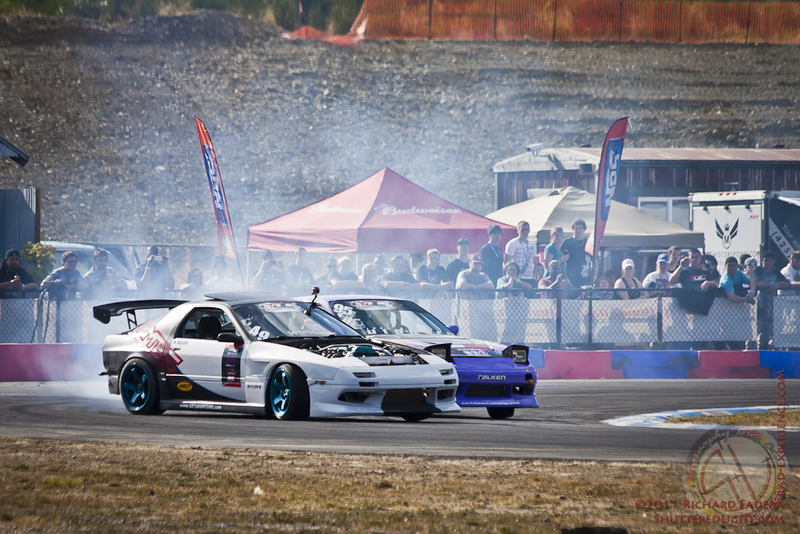 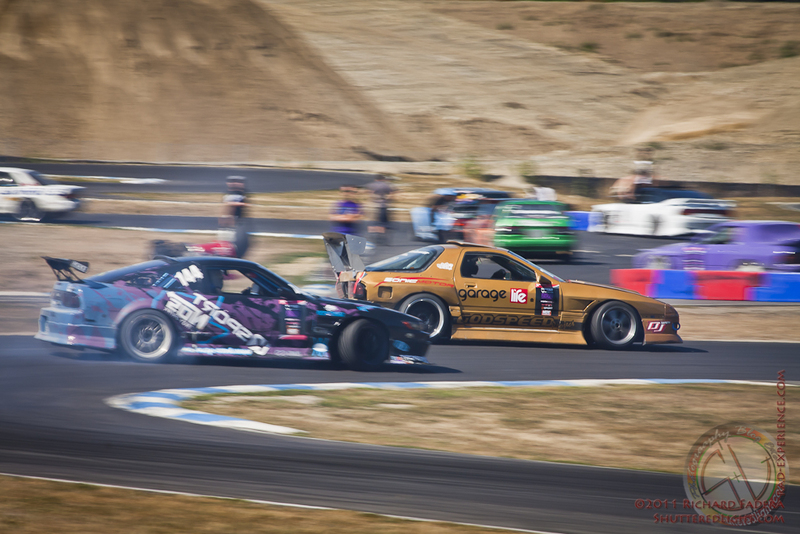 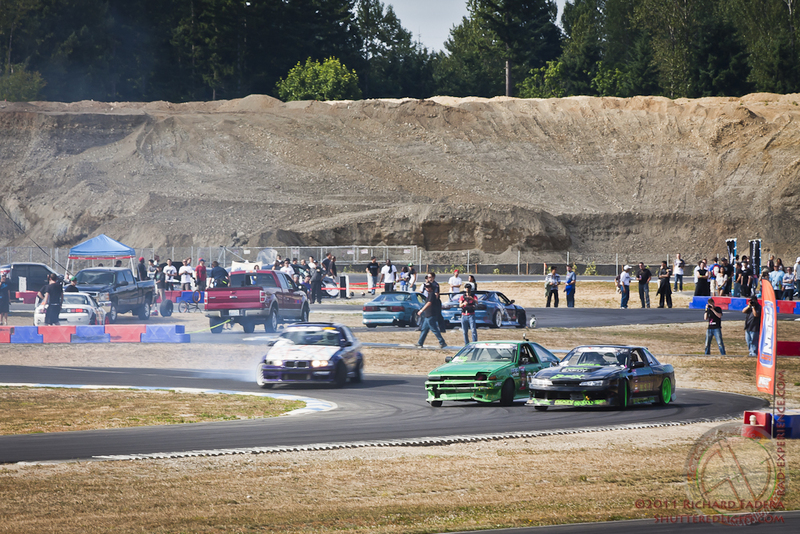 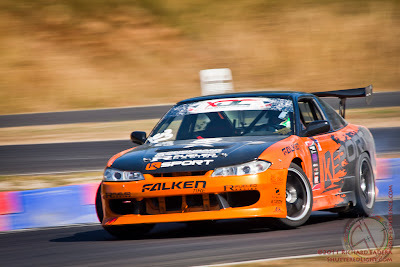 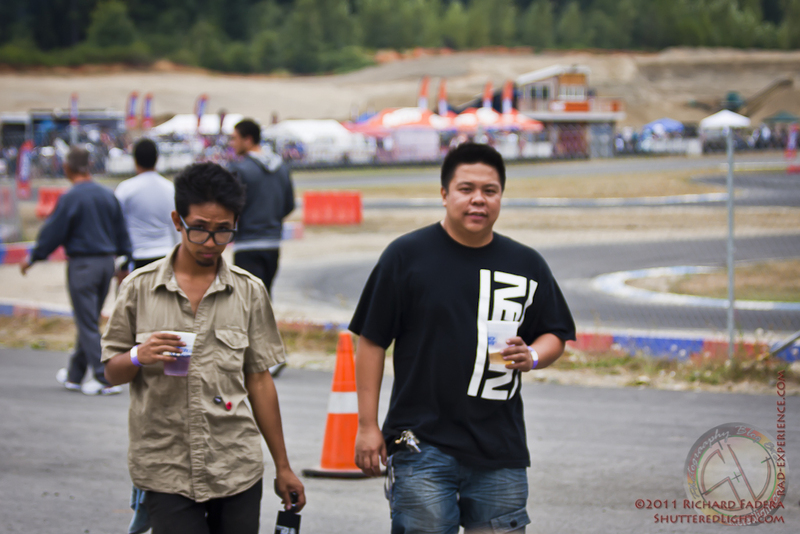 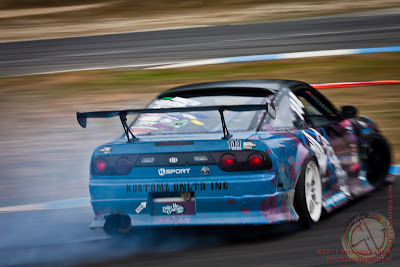 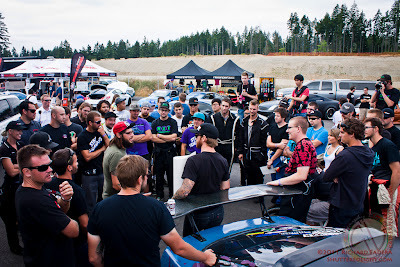 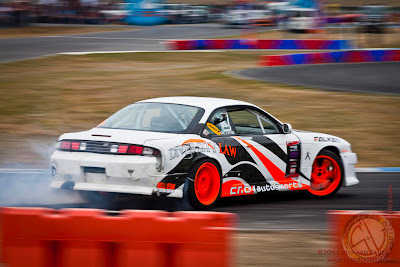 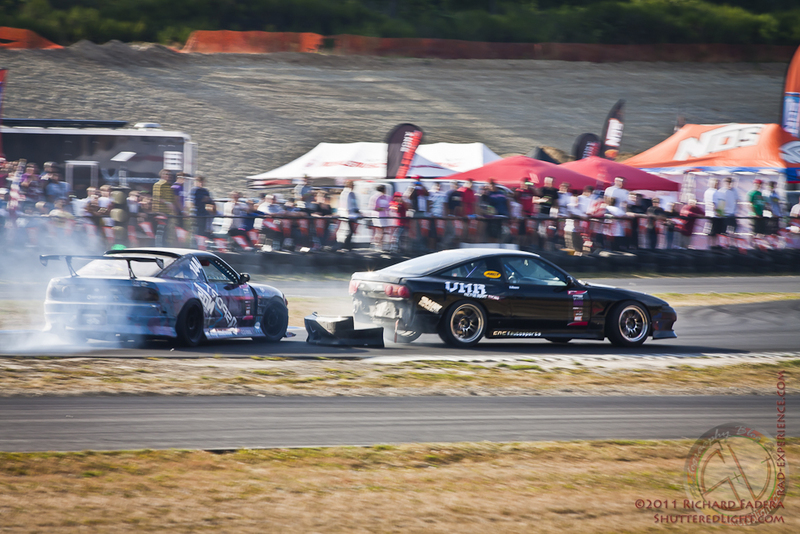 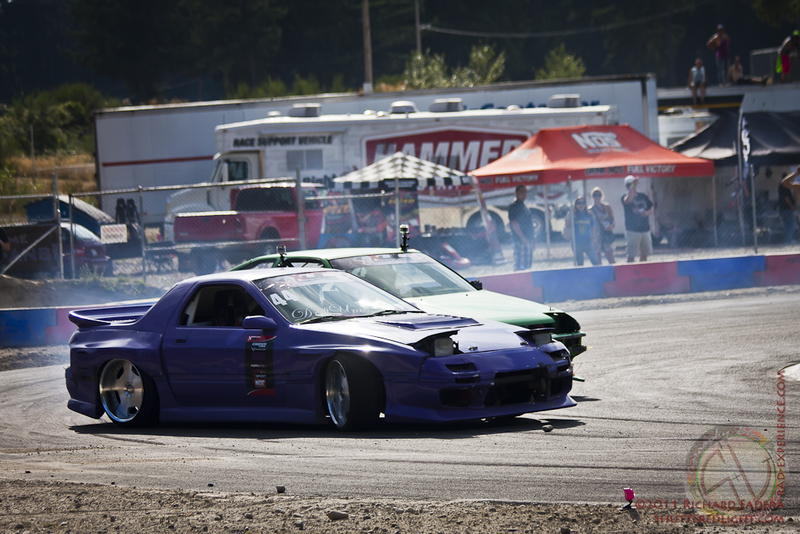 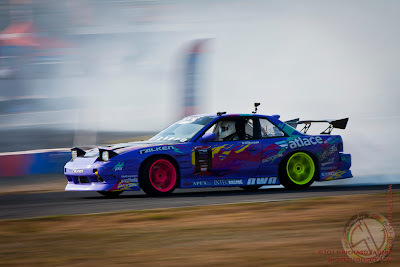 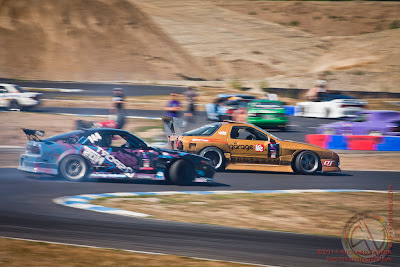 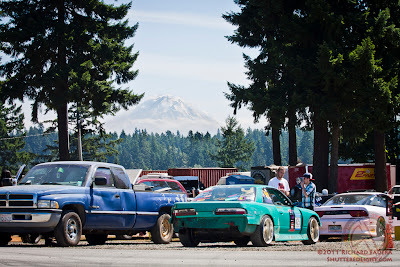 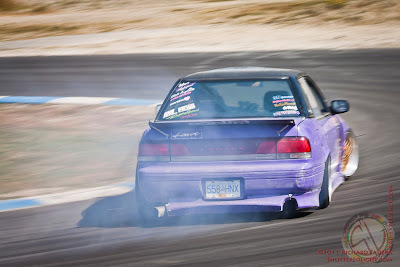 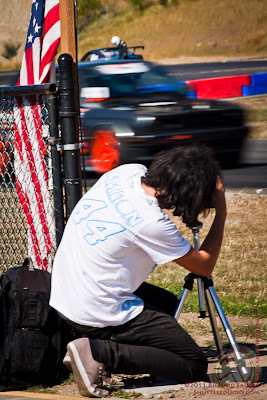 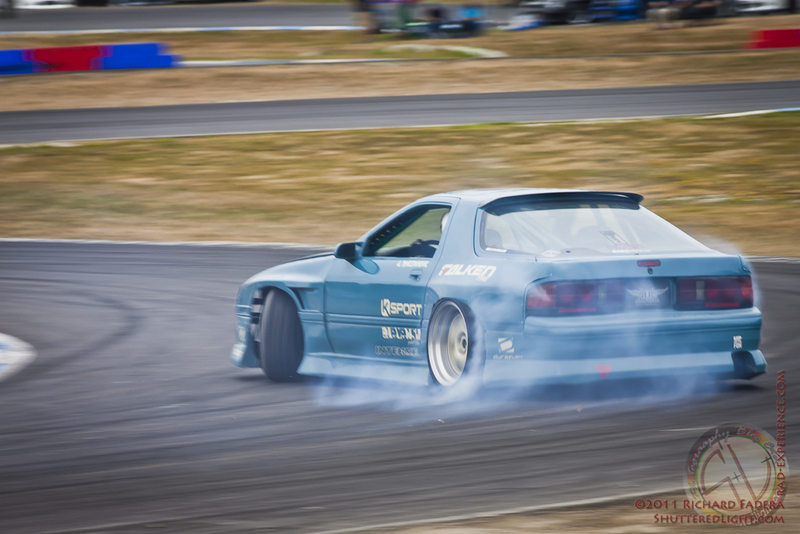 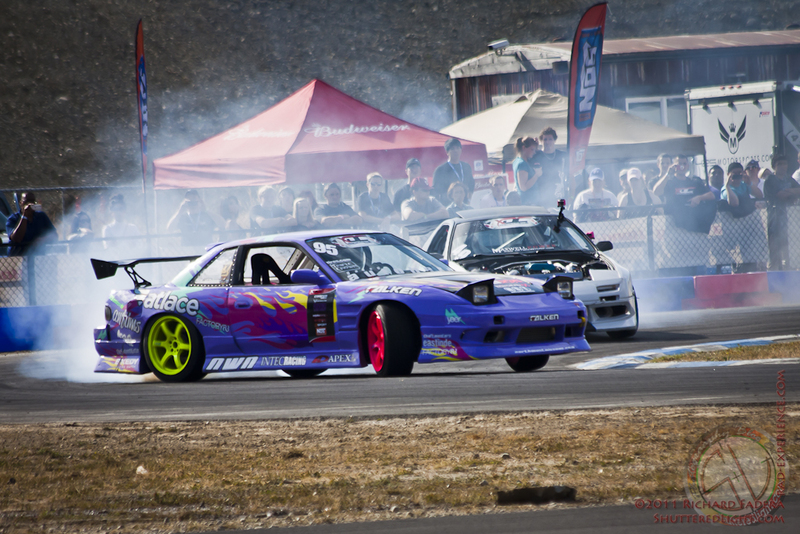 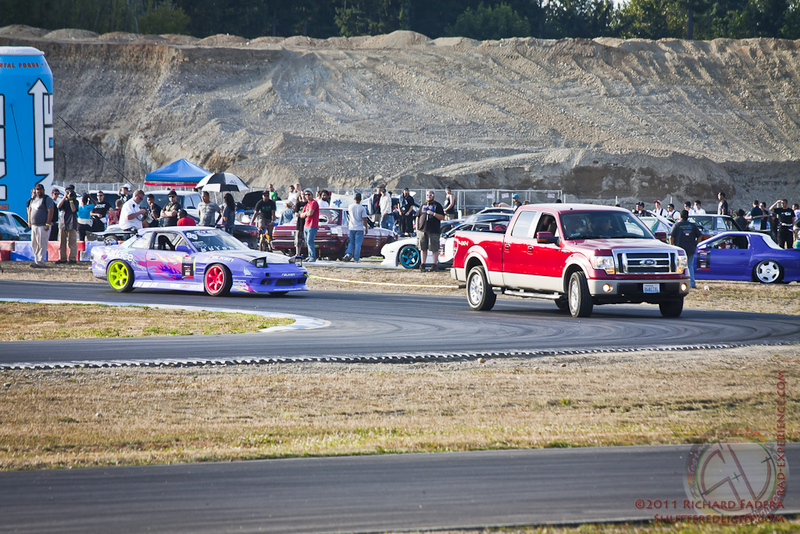 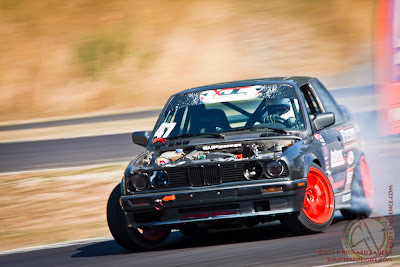 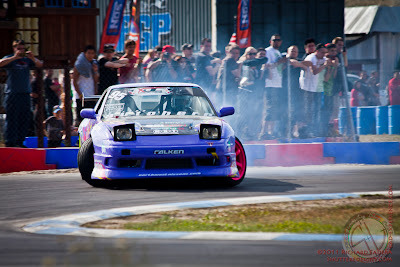 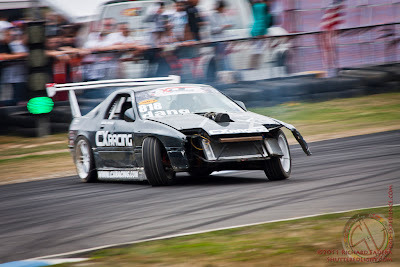 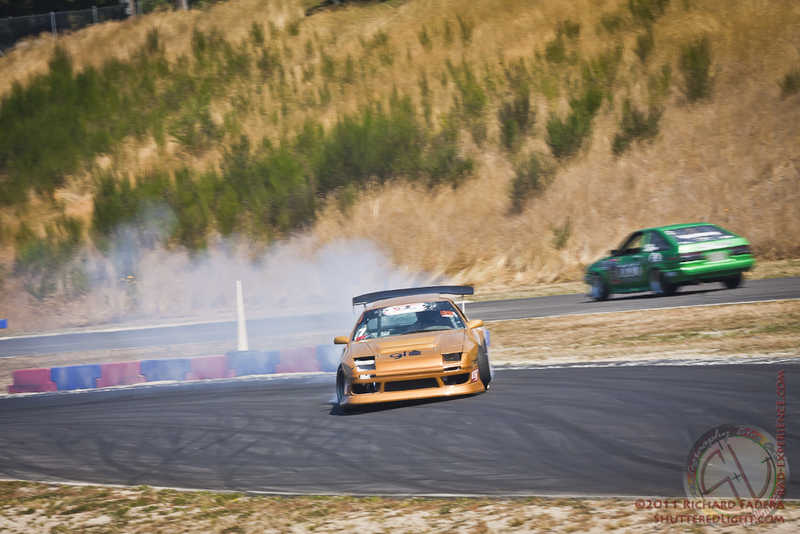 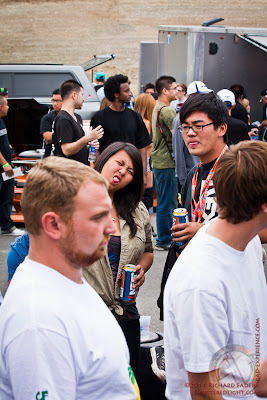 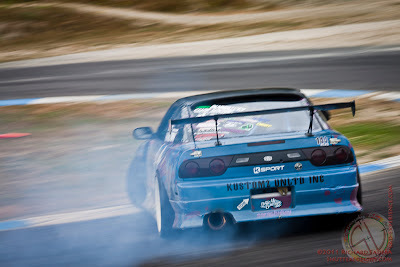 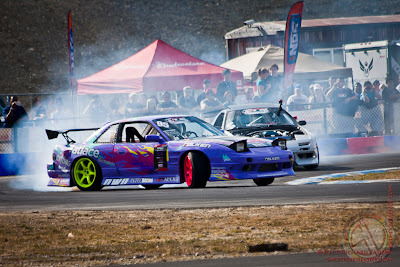 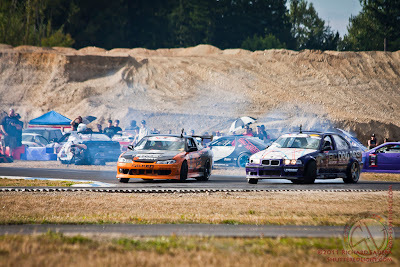 Round 6 of Xtreme Drift Circuit was held at the PGP Motorsports Parkway near Seattle on August 13, 2011. 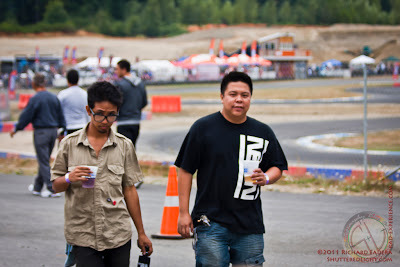 I was there both August 12 during practice runs and August 13 for the main event. 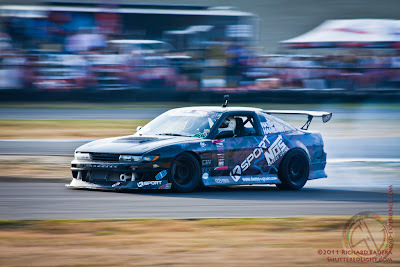 Thanks to Daniel Kuo and his crew Denise and Brian for hooking me up with their crew pass. 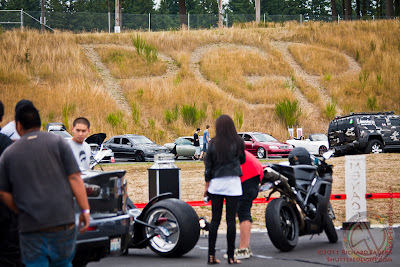 Here are Chelsea Denofa, Sarah Burgess and Joshua Steele checking out the race track. 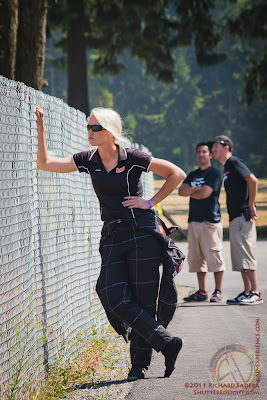 Sarah contemplating and getting ready for her runs. 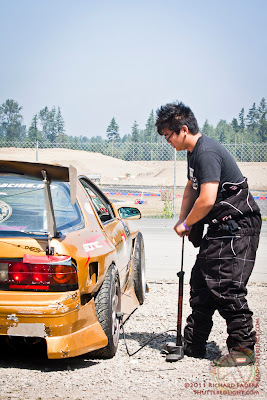 Daniel Kuo and his Garage Life rotary. You can even see the beautiful Mt. Rainier from the pit area. 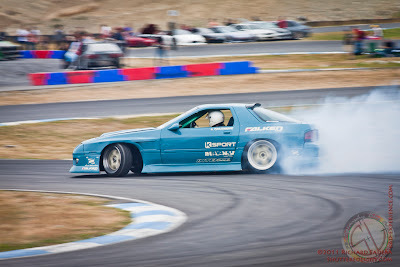 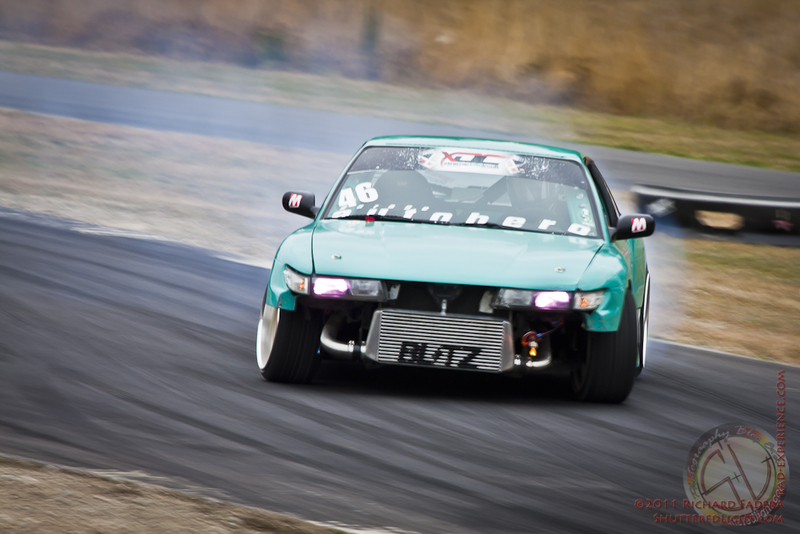 Rolland Gallagher in his Teal S13 coupe qualified 7th. 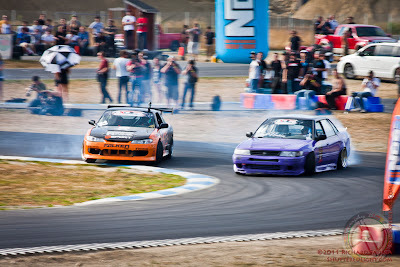 Going side by side with Corey Hosford - KSport S13 hatch who qualified 14th. 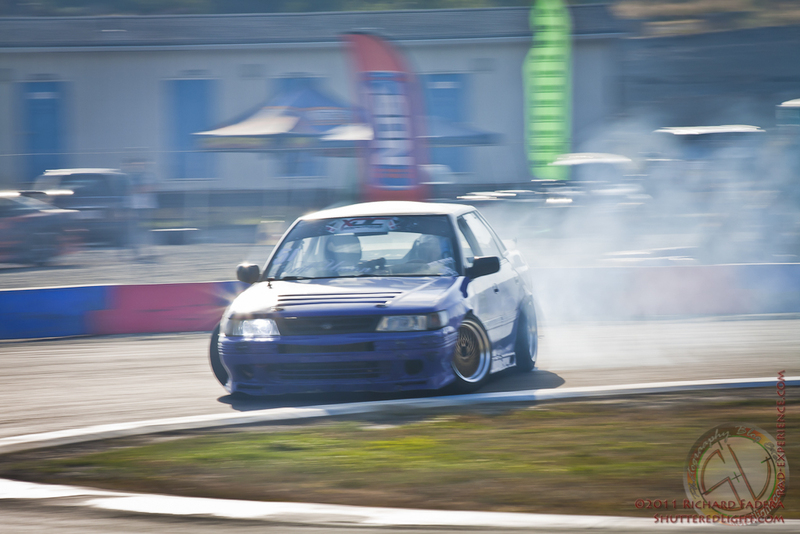 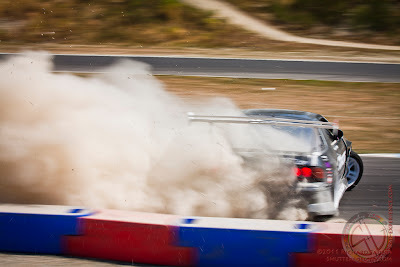 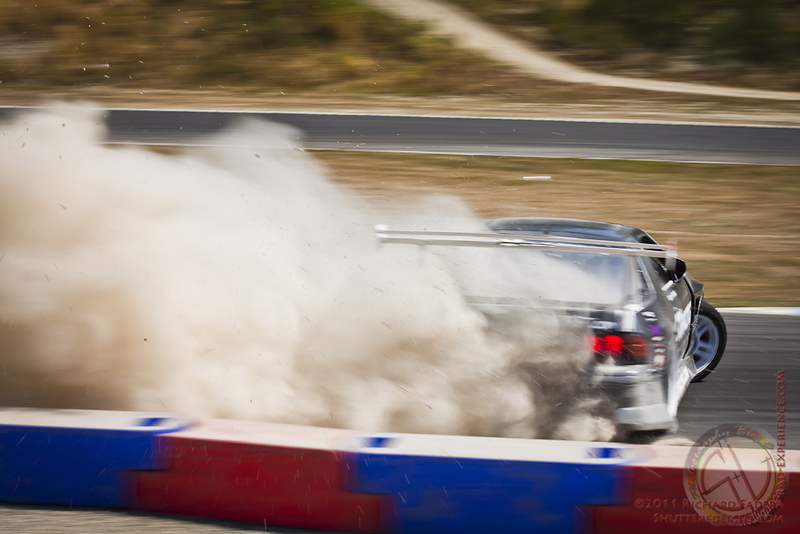 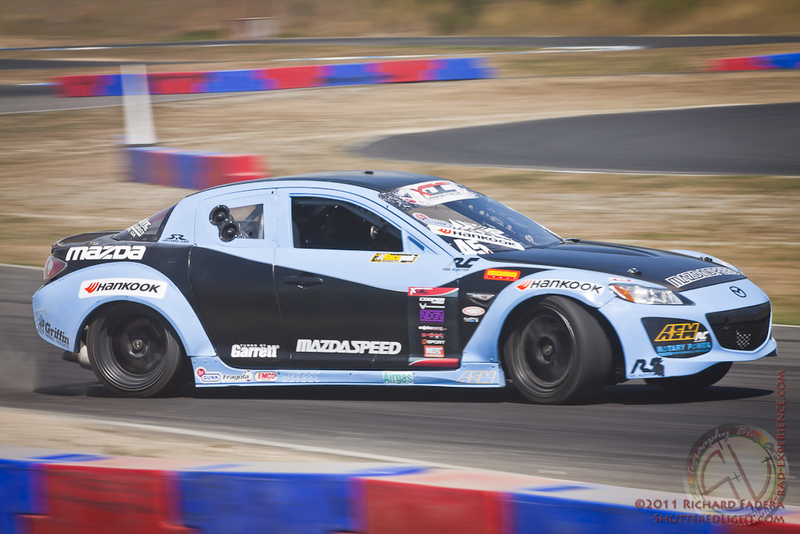 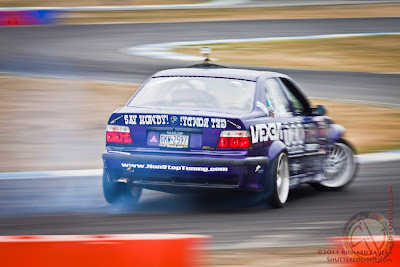 And here is Drift Union's Logan Noel in his Subaru Legacy who qualified 11th. 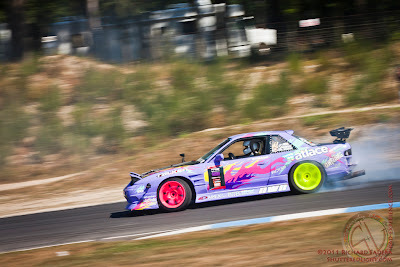 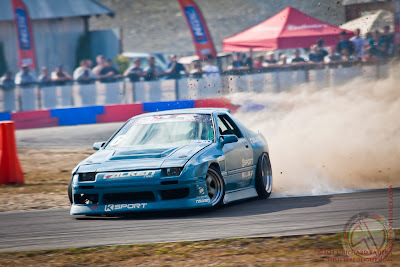 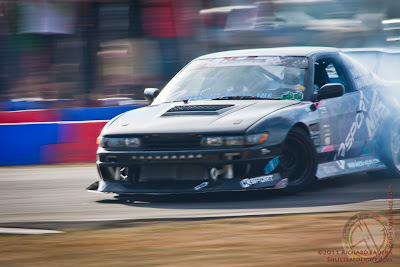 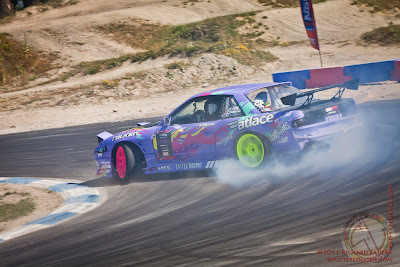 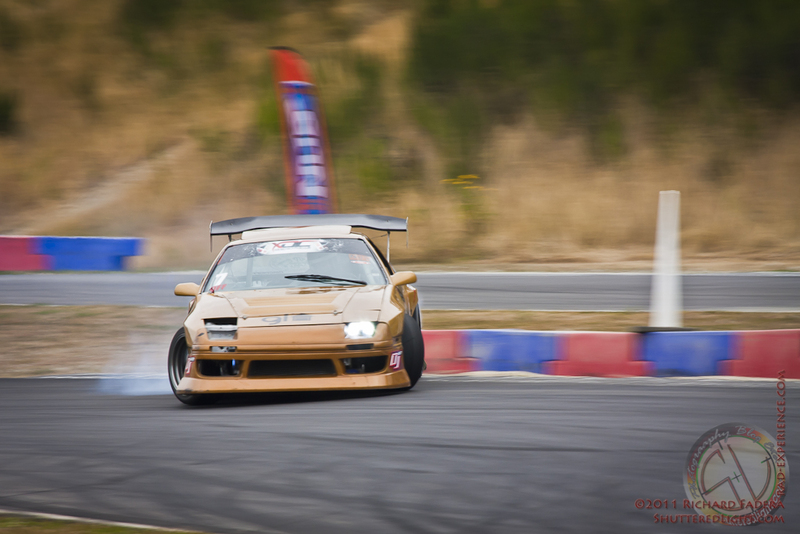 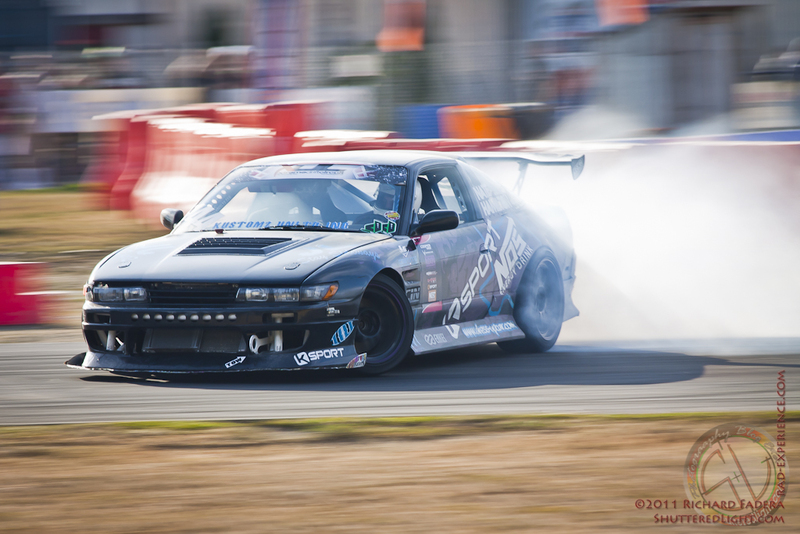 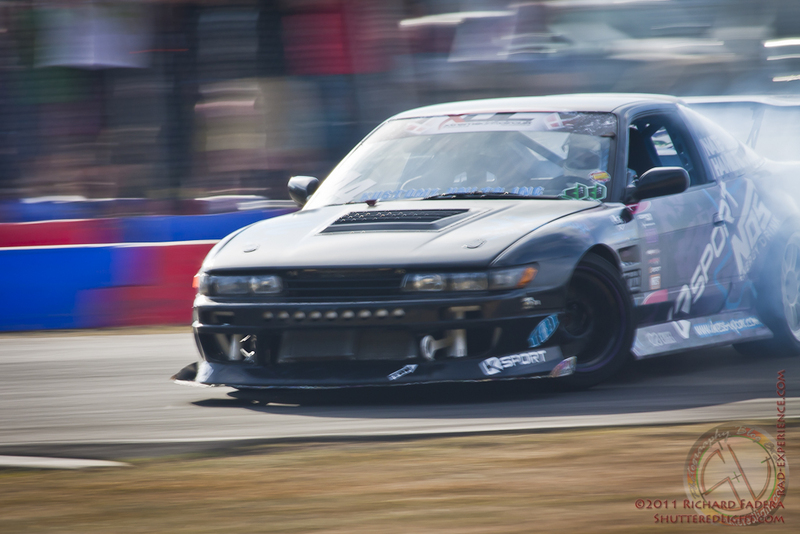 Here is a local Walker Wilkerson in his Fatlace S13 coupe who qualified 1st. 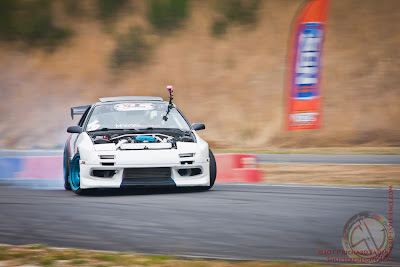 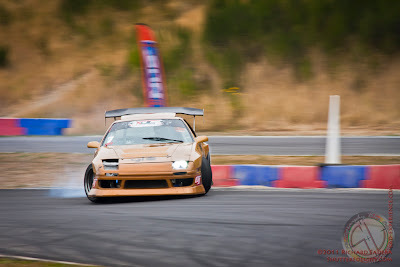 Joshua Steele's Nissan 240sx S13 coupe with S14 Kouki front qualified 12th. Eric Hagen's BMW E30 qualified 15th. 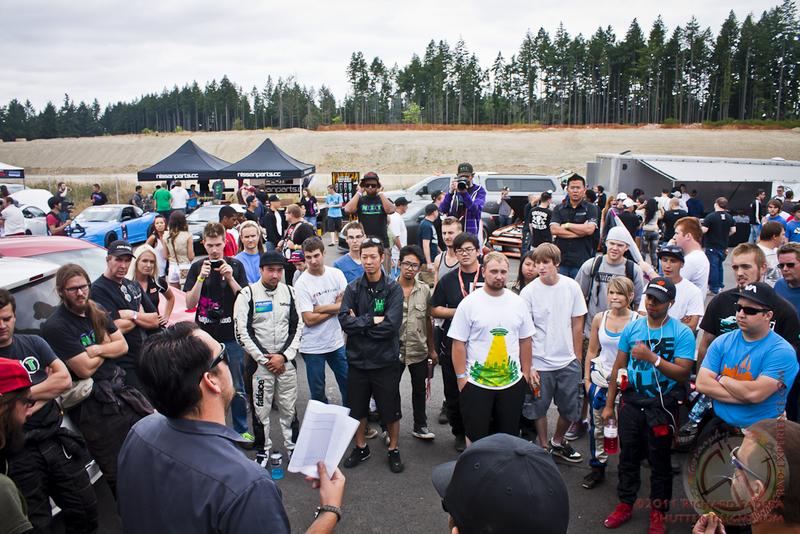 After the morning practice runs, the judges called all the drivers for a meeting. All the drivers are deciphering the judges' expectations. 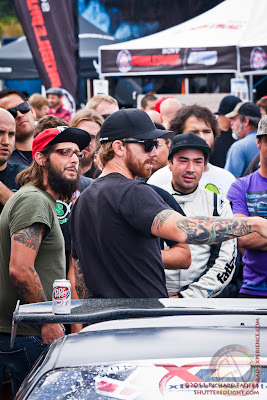 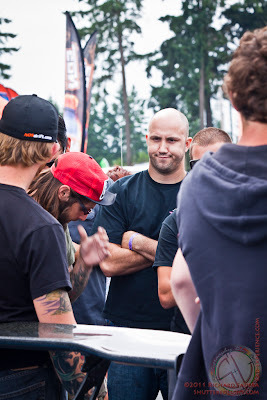 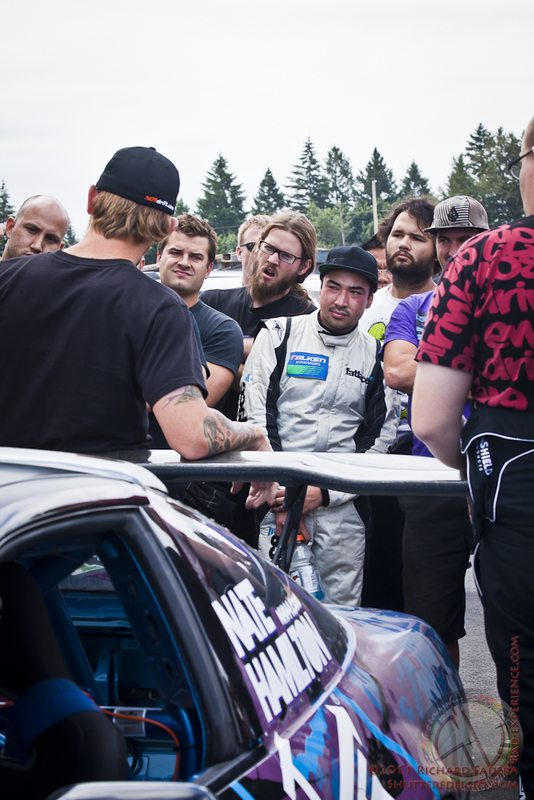 Here is 2009 Formula D Champion Chris Forsberg explaining the track layout. 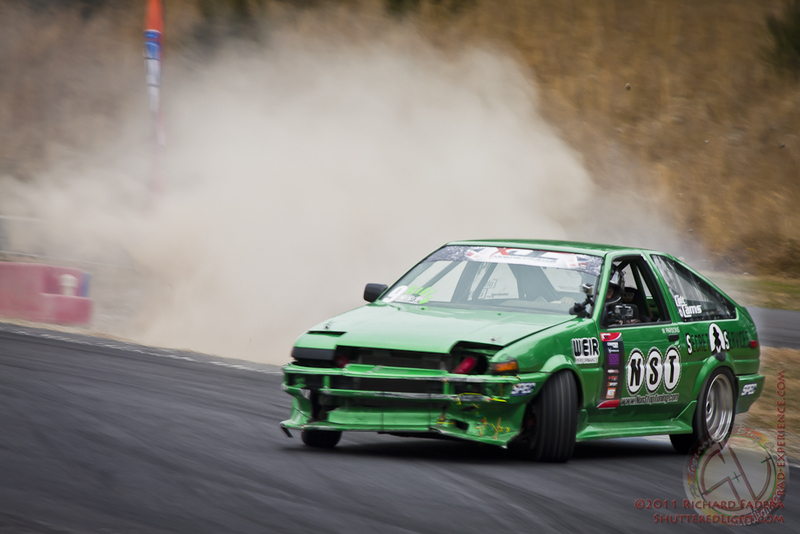 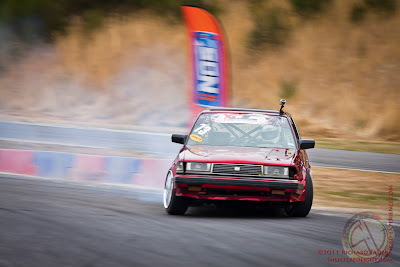 Will Parson and his NST Toyota Corolla AE86 who qualified 4th. 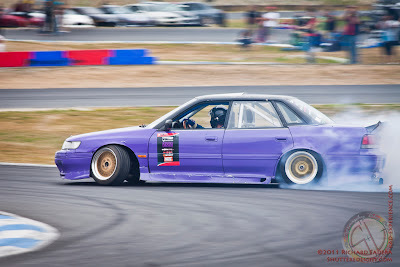 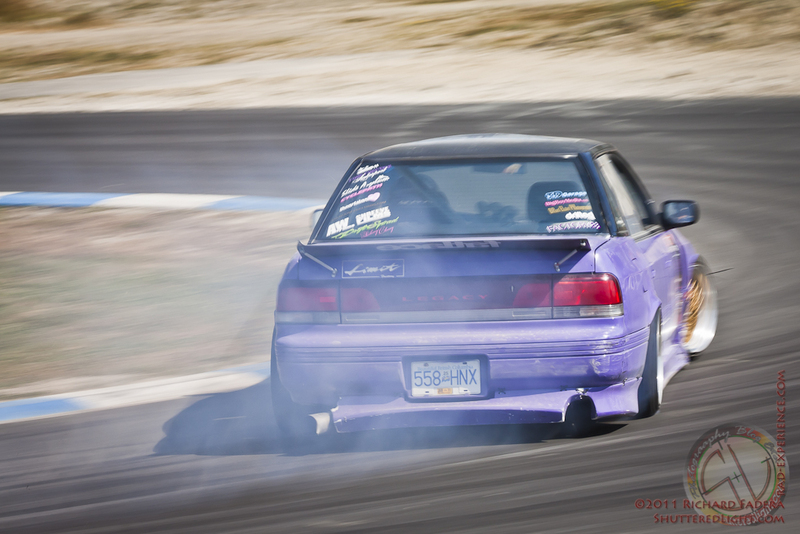 Robert Turnbow's Serial Nine Toyota Cressida qualified 6th. 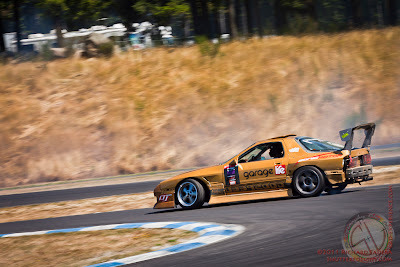 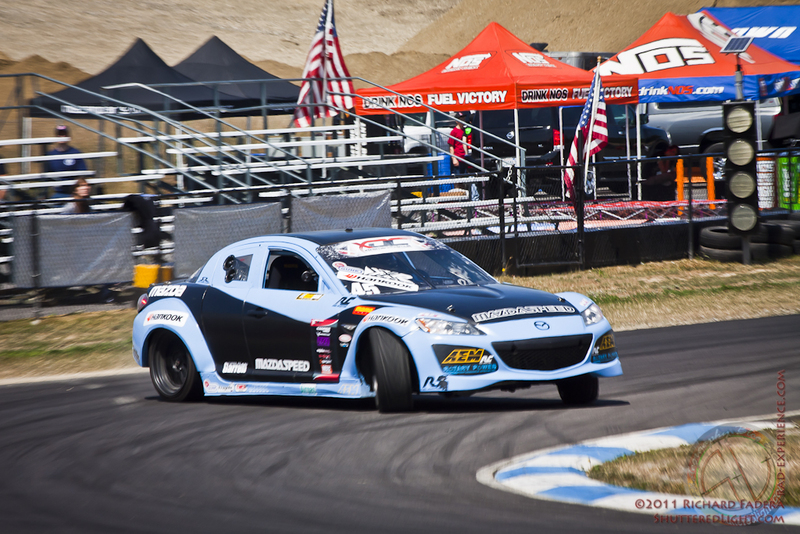 George Marstanovic's Mazda RX7 qualified 9th. 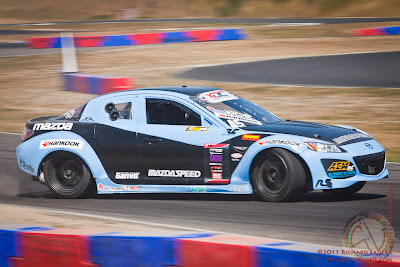 Chelsea Denofa's Nexen NST's BMW qualified 3rd after experiencing mechanical issues during practice runs. 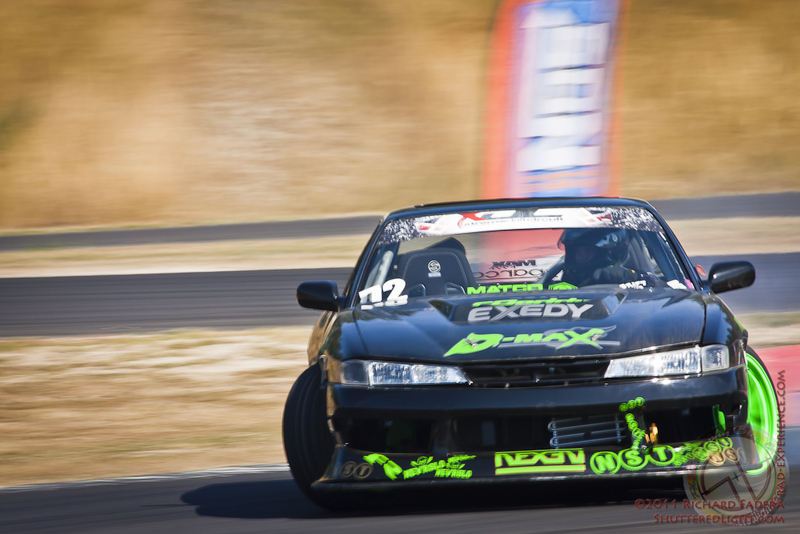 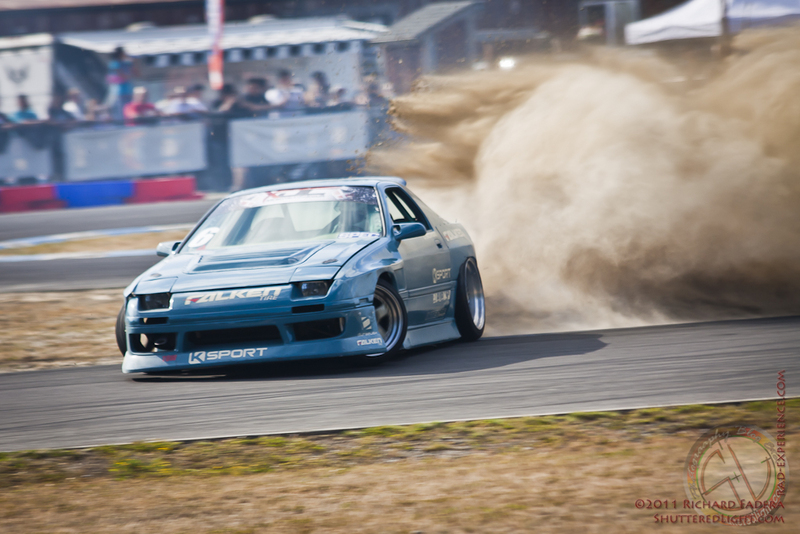 And Nate Hamilton's S13 hatch who qualified 2nd. 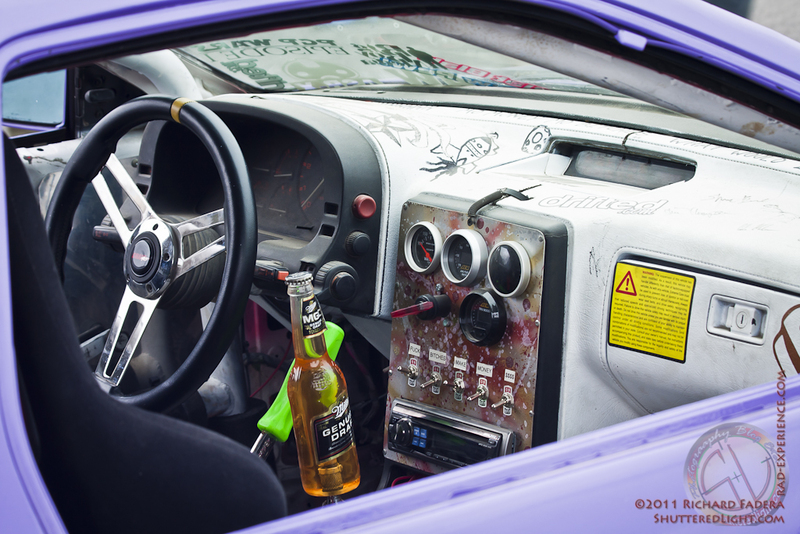 Time to relax and for some beer. 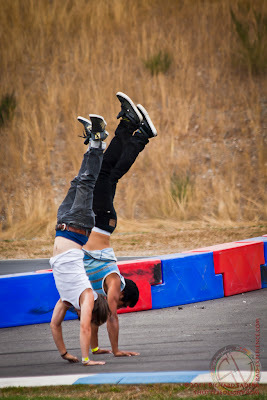 Joe Ayala and Justin Shreeve doing their famous hand stands inside the track. Announcing the drivers who got in to the top 16. 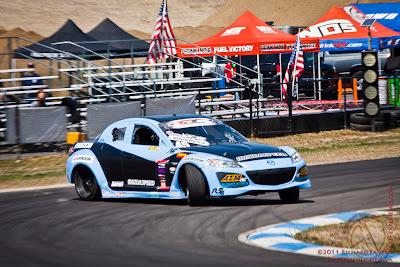 Nate Hamilton is happy with results qualifying 2nd. 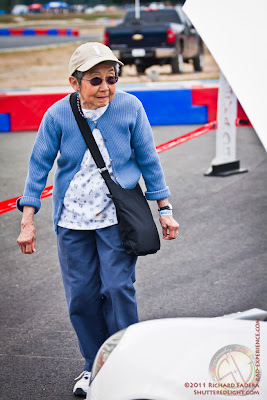 Grandma checking out JDM stuff. 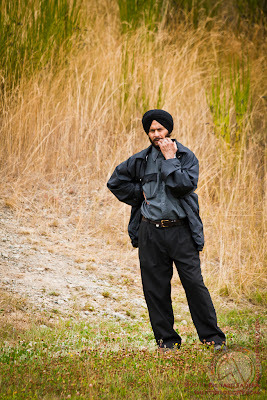 Security making sure everything is in order. 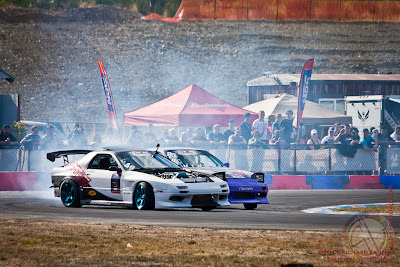 A local gogo dancer and Kaylee Alana doing their thing on Cooper Tires stage. 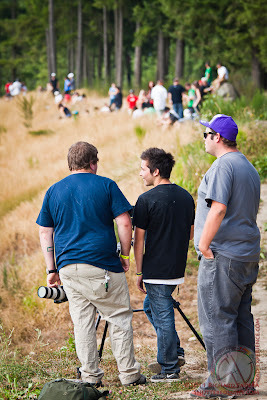 Photographers and the crowd on the hill side waiting for the top 16 tandem. Walker Wilkerson (WW) doing his famous reverse entry on turn 1. 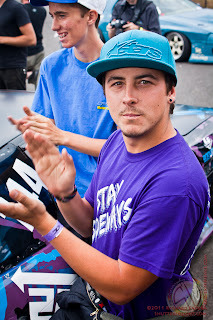 Battling for the championship are the drivers who qualified top 2 - Walker Wilkerson and Nate Hamilton. Unfortunately WW's S13's diff blew up after getting hit by Nate Hamilton during their first run. 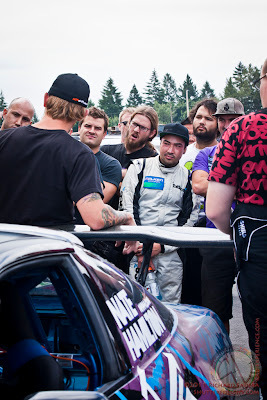 Giving instant victory to Nate Hamilton.